The Club now has a presence on Facebook and Twitter. Follow the links on any of our web pages and you will find the most up-to-date news and information on our activities and events. The Club will be repesented at two exhibitions in October 2018. 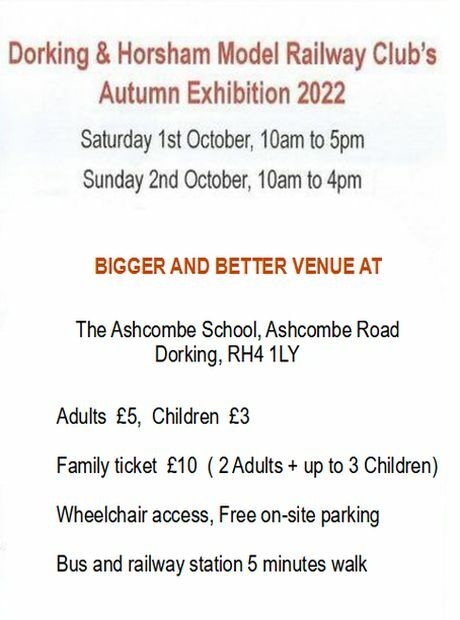 Sunny Hill, the Club new 'have-a-go' layout built by our junior members, will be at the Dorking & District Model Railway Club exhibition on 13th and 14t October. 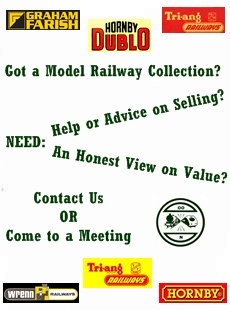 The Club will also have a second-hand stall at that exhibition sell Club members' and other collectors' locomotives, carriages, wagons and model railway accessories. Battledown, the Club's recently-completed N gauge layout, will be at the Farnham & District Model Railway Club exhibition over that same weekend of 13th / 14th October. Following the success of this year's Open Day, a repeat event is being considered for 2019. Showcasing members' layouts not usually seen at Club evenings or exhibitions was well received and the second-hand stall was very busy. Watch this page for further news in the coming months. We are rapidly outgrowing our current home at St Leonard's Church Hall and are looking for a new venue. 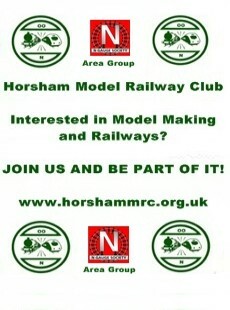 Founded in 2008 the club has grown from 18 members and a single layout to 50 members including a junior section and four layouts. Whilst we have been very happy at St Leonard's and they have been a very accommodating landlord there simply isn't enough space to store everything as the club goes from strength to strength. In an ideal world we would have our own premises where we could leave layouts erected and work on them at any time, rather than just our weekly club meetings, but unless we find a generous benefactor this is prohibitively expensive in the Horsham area. So we are happy to explore any options. We need a minimum of 100 sq ft permanent secure storage, an area equivalent to the size of one badminton court for club meetings, with the usual services and sufficient parking on site or nearby. Currently the meetings take place every Wednesday evening with two weeks of the month starting earlier in mid-afternoon. If you are a landlord with some cheap space available, another club keen to share premises or maybe even a philanthropic lottery winner who wants to help a thriving community club please email us via secretary@horshammrc.org.uk.